A recent Pew Internet Survey found that 80% of internet users research health information online. Not especially shocking. A more shocking finding would be if the Pew respondents had actually managed to find reliable, high-quality medical information that helped them improve their health. If you “Google” any particular health-related symptom, you’re likely to see a lot of spam, ads, scams and generally low-quality content. Not the type of material you’d want to stake your health upon. One of the great challenges for anyone seeking medical information online is finding a resource that can provide insight into what they should do next (e.g., see a specialist, research surgeries, change their diet, etc.). Enter FreeMD.com, a “symptoms triage” site that helps ordinary people answer the always important questions: “What could be wrong with me?” and “What do I do next?” The service is powered by software that is written entirely by doctors and triages patients in much the same way a hospital might triage admitted patients. Note: FreeMD.com is not meant to replace consultations with real-life physicians, but instead, help people educate themselves about their own health. FreeMD.com (reviews) was created by Dr. Stephen Schueler, an emergency physician, teacher and author, who has been practicing medicine for over 25 years. 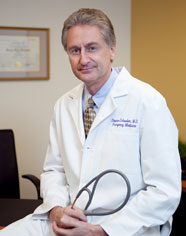 Dr. Schueler is a recognized authority in medical expert systems. He has consulted for the U.S. Department of Defense and the U.S. General Accounting Office. Over the past two decades, he has published a dozen software titles that empower consumers to achieve better health. Dr. Schueler’s Home Medical Advisor® multimedia CD series was honored with a National Health Information Award and has sold more than two million copies, in four languages. Moreover, during Dr. Schueler’s residency at Henry Ford Hospital, he received the Outstanding Teacher of Medicine award from students at the University of Michigan Medical School. After completing his residency, he became board-certified in emergency medicine and practiced in a large suburban emergency department in Florida. Dr. Schueler has been an active member of the American College of Emergency Physicians (ACEP) for many years. Sitejabber: What inspired you to start FreeMD.com? Dr. Schueler: The idea came to us from watching nurses use our professional products. Although DSHI Systems created FreeMD.com, we have been providing nurse call centers with decision support applications for over 15 years. We designed our call center solution to guide a nurse through a patient interview. It informs the nurse what questions to ask the patient, analyzes the responses, and then makes a triage recommendation. What was interesting was that the product had evolved to the point that the nurses were agreeing with the programs recommendations in 99 out of 100 encounters. Naturally, we started to wonder: Could we redesign the software so it could work without a nurse? It was then that we realized that we also needed to do something to the user interface to make it more like a real doctor’s visit. What we came up with is a video-assisted interview by a “virtual doctor.” The doctor in the videos is me since nobody else wanted to record the 12,000 videos we needed make the expert system function. It was pretty painful, but where I can triage only one person every 5 minutes, a single freeMD server can triage 10,000 people every 5 minutes, around the clock with no breaks. How does FreeMD differ from other health information websites? As you already know, many sites offer symptom checkers, but all are variations on the same theme. Most will provide you with a list of diagnoses after you answer questions or select symptoms off a menu. Some of the diagnoses in the list are very serious, while others are minor. How is a person supposed to react to this? Do you assume it’s a minor problem and relax, or do they worry about the worse thing in the list and run to the emergency room? Triage is a process that informs you how to react to your symptoms. For example, if you called me in the middle of the night to explain how you feel, I’m going to triage you. I don’t care as much about what your diagnosis is since I am not initiating therapy. But what I do care about is your potential for serious illness. I listen carefully, ask questions, and try to decide if you need to drag yourself out of bed and go to the ER. FreeMD is designed to emulate the triage process — just like a physician would do it. Prior to FreeMD, the only options were to triage yourself, based on what you know, or try and get a hold of your doctor. I’ve never had any trouble reaching a doctor within 15 minutes, but I’m told most others don’t have a similar experience. Seniors are a growing segment of internet users, and they’re seeking health information online. How can they benefit from FreeMD.com? Seniors are faced with two realities: increasing risk for serious disease and diminishing financial resources. This is a terrible combination. For example, let’s say I am having symptoms of a stroke, but I don’t realize it. If I delay my care by more than 4 hours, I deprive myself of a treatment that could reverse the symptoms. Conversely, running to the ER for an illness that could be handled in the doctor’s office is costly. In fact, you pay about ten times as much in the ER for the same care. Sometimes you can’t avoid the ER, but the decision on when to go to the ER is a tricky one and becomes more complicated as you age. One thing you can count on is that making the wrong decision on where to get care can spend more of your money, contribute to a poor outcome, or both. 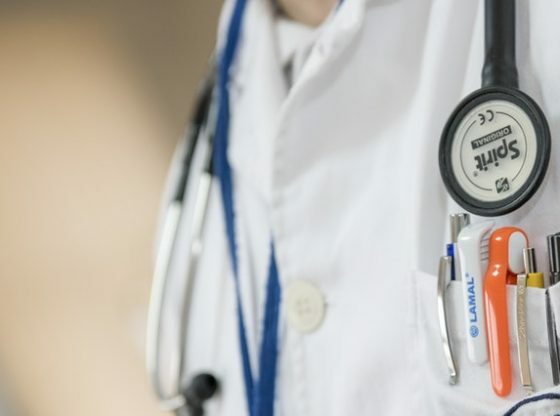 FreeMD determines the best place for you to go for care from a variety of venues, including the ER, urgent care center, doctor’s office, doctor e-visit, nurse retail clinic, dentist, or just staying home. Do you have any recommendations for other healthcare websites? There are a number of good sites for health content. What’s interesting is that most of the larger health sites license content from the same handful of content producers. This means that it’s common to see the same content at multiple sites, each providing its unique look and feel to the content. One that stands out from the pack on general health information is Mayoclinic.com (reviews). These folks have been in the health information publishing business for a long time. They create their own content, and all of it is written and reviewed by physicians. Any other advice for our users on how to stay safe online and avoid health websites that could be potentially dangerous to them? Probably the best way to avoid bad sites is to never find them, but this isn’t realistic. What many don’t realize is that Google search is the most widely used health application in the world. People connect to health information via keywords entered into Google. Google generates its search results across all domains of knowledge — from Britney Spears to brain surgery. The results are generated based on an algorithm called Page Rank. This is a calculation that Google makes based on a multitude of variables, not least of which is the number of websites that link to a given website. Here is the crux of the problem: many believe the higher a site lists on the results page, the higher the quality of the information. For medical searches, this is a dangerous assumption. I think overall, Google does an extraordinary job, but in the health vertical, it doesn’t place enough emphasis on the credentials of the author. In medicine, this is something we simply don’t do. The credentials of the author are essential to even becoming published or practicing medicine for that matter. Search for any health topic and you are as likely to see results that are written by consumers – as long as they have high Page rank. Most of the physicians I know, some quite noteworthy in their field, have little or no Page rank, nor the means to improve it. I have nothing against freedom of speech, but if you are researching the treatment of systemic lupus erythematosus, I think we need to consider the wisdom of prioritizing information crafted by licensed physicians. Sitejabber would like to thank Dr. Stephen Schueler for taking the time to speak with us and encourage all health information seekers to take a look at FreeMD.com.